. 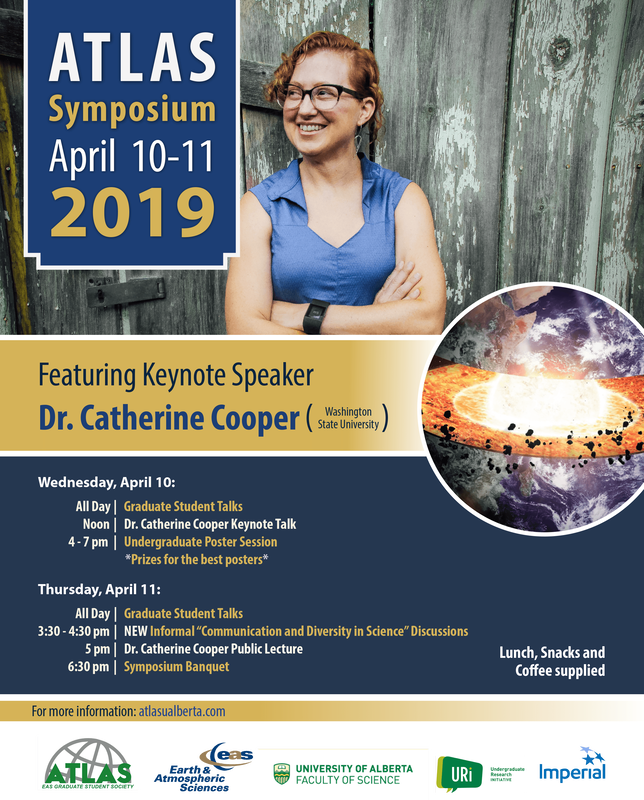 : 2019 ATLAS Symposium :. "​The Making and Breaking of Cratons"
@ 4 - 7 pm - Undergraduate Poster Session. Prizes for the best posters! This talk will explore the emergence of the theory of plate tectonics, explain the importance of building scientific consensus, and demonstrate several surprising ways that the slow motions of the Earth’s surface dramatically shape our daily lives. ATLAS webpage is a source of information for the gra﻿duate students of the Earth and Atmospheric Sciences department at the University of Alberta. ATLAS is committed to providing an environment in which young geoscientists can excel in roles of advocacy, outreach and professional development.